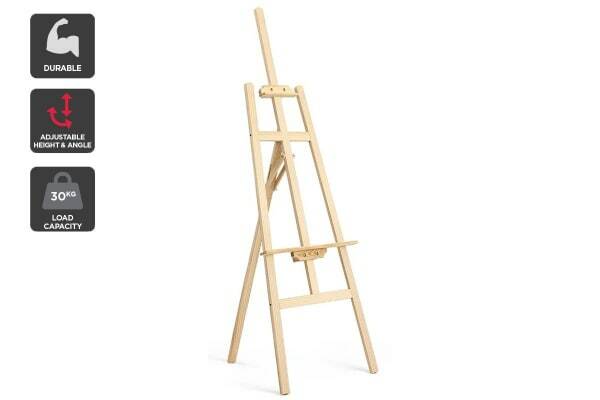 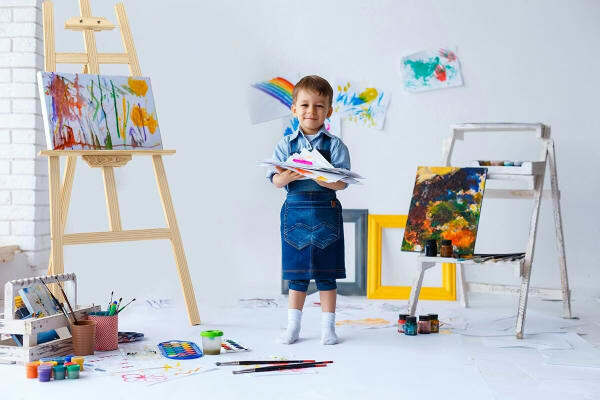 Whether you’re a budding artist, your kids love to doodle or you’re looking for a display board for an upcoming event or wedding, this sturdy pine wood painting easel is the perfect platform! Unleash your inner Picasso or put your favourite piece on display with the Kogan 110cm Pine Wood Painting Easel, built with durable pinewood that can be used for both rainy days inside or outdoor signage. 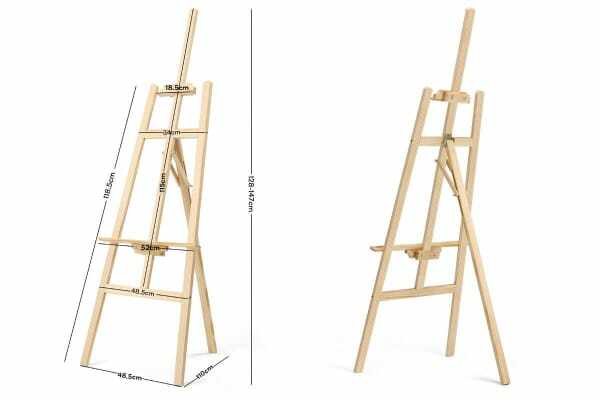 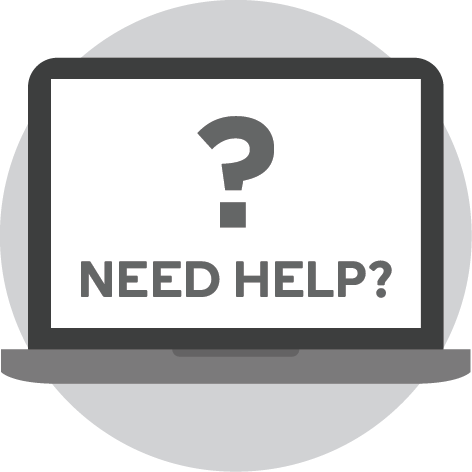 Whether you’re sitting, standing or getting the kids involved, the leg height and tilting angle adjusts easily to suit painters of all sizes and styles. 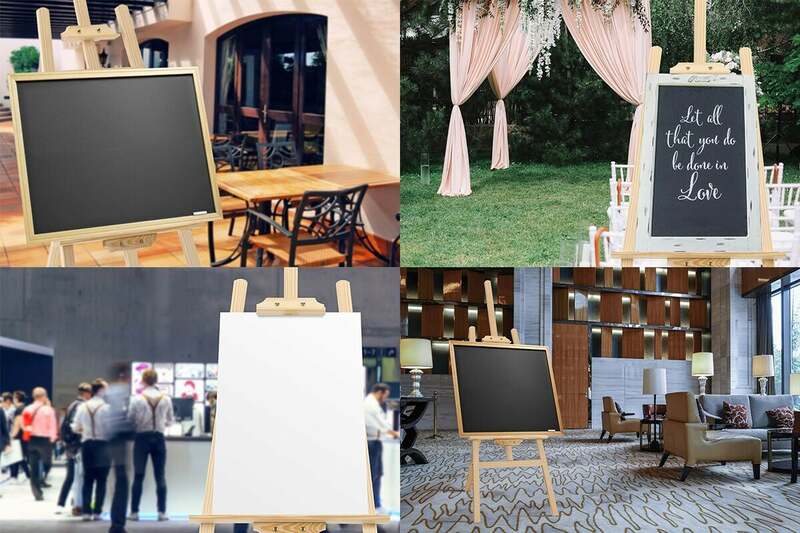 When you’re finished, simply fold flat and put into storage for your next paint session or event!